The "ability to pay" argument highlights that Home-Owner-Ism is Blue Socialism. In a free market capitalist system, everybody has to pay the same for the same services; we can't have a system where the government decides that favoured groups get certain things for free and that others have to pay through the nose; or even worse; favoured groups are given certain rights for free which they can sell on to unfavoured groups for inflated prices and to pocket the difference, but let's focus on The Poor Widow. This is a statement of the obvious. We are aware of this, although it is also true that most people who own valuable homes also have a lot of other income or assets. And clearly all of them own at least one valuable asset. There are far fewer 'asset rich/cash poor' than the Home-Owner-Ists always pretend (skip to article), but yes, there are some. The short answer to the issue of the 'asset rich/cash poor' (and all similar objections) is that people over retirement age who really want to stay put and realistically cannot afford the LVT will be given the option to defer and roll up the LVT until they die and the house is sold. 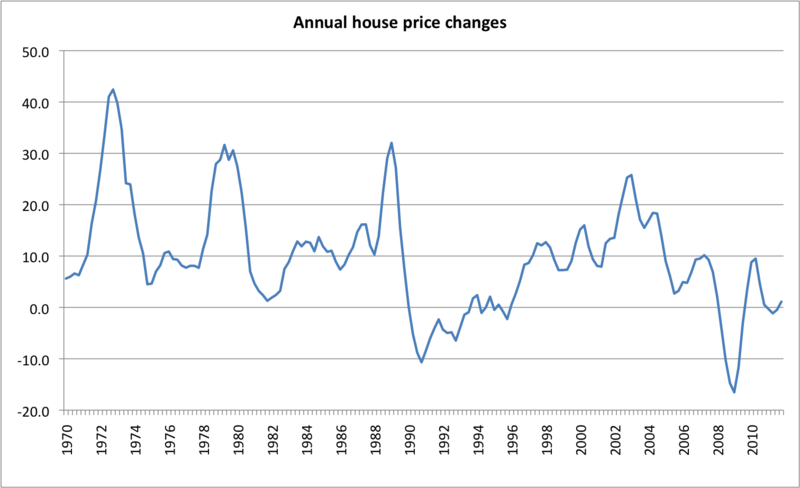 As explained below, if the tax is about 3% of what each house is currently worth (at 2017 prices), even if house prices were to halve, this still means that on average, a pensioner household will be good for 17 years' worth of deferred payments, collected in arrears. This claim is simply untrue, the situation simply does not arise. v) Skip to article on the long and ignoble history of The Poor Widow Bogey. 2. "Elderly people won't be left with enough equity in their homes to pay for a nursing home"
a) This is rank hypocrisy from the Home-Owner-Ists, because they consider it to be a scandal that anybody should be "forced" to sell their home to pay for their own long term care anyway, which is rather bizarre - whoever pays for the care, what is the point in keeping a house vacant for years on end if the owner has no intention of re-occupying it? And to the extent that people pay for their own care, why should it make any difference how they raise the money? b) For a given standard of care, somebody, somewhere has to pay it; a basic minimum standard of care for all who need it can be paid out of general taxation. The balance has to be paid either by the elderly person needing care or his heirs (whether in cash or by paying insurance premiums earlier in life) - and in fact the two are the same people. Every £1 spent on care means that the heirs inherit £1 less, why should all taxpayers be expected to pay for all nursing home costs to protect the inheritance of the few? c) People reaching retirement all have to make a realistic assessment of what assets and savings they have and how they would like to spend it. If some choose to "spend" the value of their home on their LVT bills, then that is no different to doing mortgage equity withdrawal and going on holidays or buying new cars. If we have a political objection to people "spending" the value of some assets on LVT (just in case they need long term care later on) then we can apply the same logic to their other savings or pension funds. The government would transfer all such receipts, together with any other assets or savings people have when they retire into an earmarked account and only allow them to be spent on old age care. Which makes a mockery of saving up for a nice retirement and nobody would bother. d) People can choose to trade down in to a cheaper home, which frees up some cash to put to one side towards care fees (or care fee insurance) if they think that they won't be happy with the taxpayer-funded basic levels of care. e) The cost of being in a nursing home is very high - between £30,000 and £50,000 a year in the UK (2016 prices), and how much of that should be paid out of general taxation is a political decision. Further, most people will never need long term caret; some might spend the last few months of their life in a nursing home; and others might be there for years on end. In the USA, it is estimated that five per cent of us will end up in a nursing home at some stage, and that half of people over the age of 95 are in homes. f) Assuming a worst case ten year stay costing £400,000 in all, how many pensioners have a home that is worth that much (or twice that for a couple)? 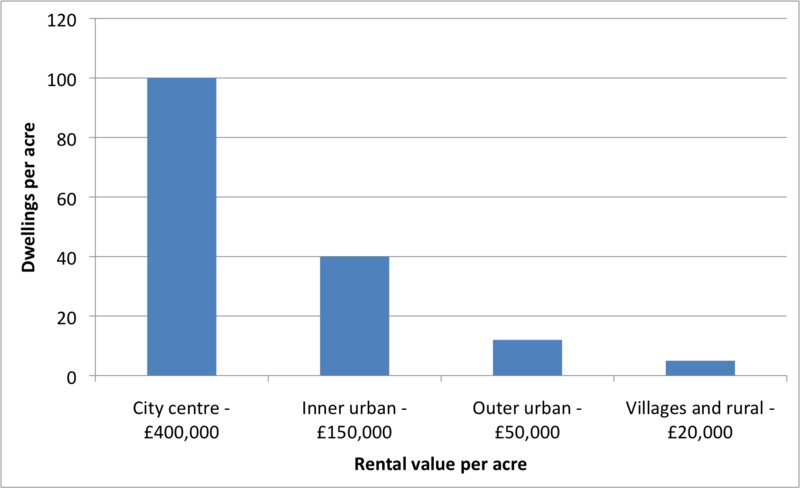 A few per cent at most, so with or without LVT, the value of housing is a completely unrealistic source of funding. g) The cost of long term care is a "catastrophic risk". It does not happen to many people, it happens at random and the costs for an individual are enormous. So the only sensible solution is a compulsory, low-cost mass insurance scheme i.e. for it to be paid out of general taxation. 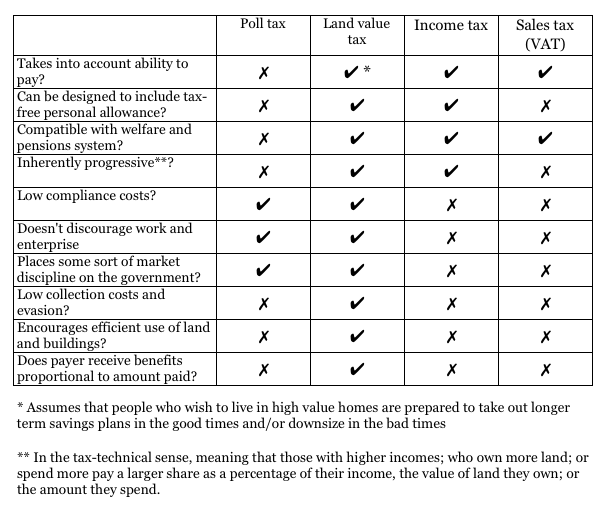 a) We do not know what will happen to house prices if more tax is collected from land values and less from output and earnings (LVT pushes prices down; higher net incomes pull rents up). Quite possibly they won't change much. 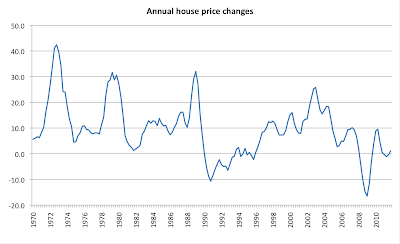 But assuming an extreme case and house prices halve, an LVT of approx. 3% of selling prices (as at 2017) means that after seventeen years of deferring, the rolled-up LVT would exceed the value of the home. b) There might be some people who respond by allowing their homes to go to ruin, but we often see this happen anyway. With or without LVT, it is exactly the Poor Widows In Mansions who allow those mansions to go to ruin because they don't have any current income to pay for repairs and they don't particularly care, as long as the rain is not actually pouring in. You only need to look at a few interior photographs on estate agents' websites and you can tell straight away who lived there. c) Everybody has to make their own decision when they retire - stay in a big house which they can't afford to maintain, or trade down and free up some cash, part of which can be spent on keeping the new place habitable. Of course, with reduced taxes on output and earnings, the cost of repairs and maintenance will be lower, so more people will be able to afford to pay for maintenance. d) A related argument is that once the rolled-up LVT bill is close to or more than the value of the home, there is no longer an incentive to downsize. That might be true, but you pay your money and you take your choice. Some people will end up regretting their decision to stay put and will be wishing they had traded down, that's life, it is full of good decisions and bad decisions. There are plenty of obvious work-arounds here, i.e. 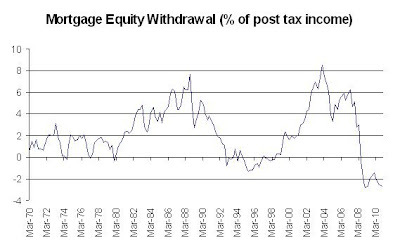 if people want to trade down, a proportion of the overhang of LVT liabilities can be written off or something. a) The deferment/roll-up option is suggested precisely because of the issue of Poor Widows In Mansions. In cash terms, clearly there are some pensioners (far fewer than you think) who would not be able to afford the LVT on the home they are currently living in. If their heirs complain that they will end up paying the tax, then at least that shows up why they object to LVT. b) If the heirs want to inherit more in future, then they can take some of their current tax savings (no more National Insurance or VAT) and use that to pay their parents' LVT on a year-by-year basis. That would be vastly preferable all round but is not always a realistic option. c) So in reality, the whole of the next generation will be "inheriting" extra amounts every year via their ongoing tax savings and their total savings will be more than the value of housing which a lucky few would have inherited in the absence of LVT. a) A study by The University of Birmingham concluded: "... there are actually very few people in this category. Indeed, only 4% of those who were retired in 2010 had both an income below the official poverty line and housing equity over £100,000." The overall position is unlikely to have changed since then. b) Seven million pensioner households (about 4 million couples and 3 million widows/widowers) own about a quarter of UK homes, so the total LVT to be collected would be about £50 billion a year (only slightly more than pensioners spend on tourism - £37 billion). This means £7,000 per household against average gross income of retired households of £29,000 in 2016 (FT August 2017). There is of course a disparity between pensioner household incomes, but there is a similar disparity in the value of their homes and the two largely overlap. c) Collectively, pensioner households can easily afford the £50 billion LVT (especially as other goods and services will be cheaper). 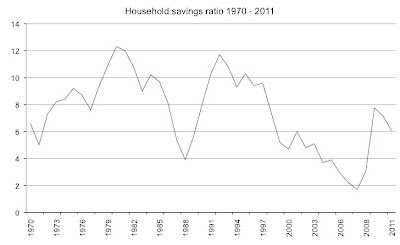 Half can easily afford it; a third will break even and maybe one-sixth of pensioner households would would be "forced" to take some sort of evasive action, such as trading down; taking in a lodger (presumably a family member); asking their family or heirs to contribute; using up their savings; and most importantly, agreeing a deferment/roll-up with the council. d) Quite who ends up better off and who has to take evasive action depends on how much a pensioner household's income is and how much their house is currently worth. By and large, most pensioner households in lower quartile housing and most pensioner households in the upper quartile of the pensioner income distribution would be better off. For every 'asset rich, cash poor' pensioner household there are three 'asset poor, income rich' pensioner households. It cannot be beyond the wit of mankind to have some relieving or transitional measures to phase in the tax and find some trade-off between good economics and good politics. a) Evicting pensioners for non-payment is a political non-starter, so the next solution is to deduct any LVT due from state pensions or private pensions at source. b) Politically and practically, the deduction at source would have to be restricted so that each pensioner household receives at least a bare minimum to live on. 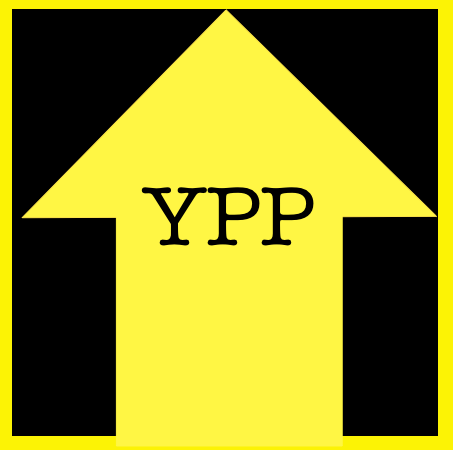 c) Big picture-wise, a 100% LVT on current site premiums would mean that pensioner households have to pay £50 billion a year out of gross state, occupational and private pensions of £200 billion a year (£29,000 x 7 million), so the bulk could be collected and the rest rolled up and paid on death. d) Clearly, some of the deferred LVT would never be collected if it ends up exceeding the value of the home, but this will be relatively small amounts. e) Or we go for an economically nonsensical but politically acceptable solution and simply exempt pensioners' homes entirely and impose a higher rate on everybody else. The upside of this is that house prices would be pushed even lower, so first time buyers would not be hurt; it would be the Baby Boomers who end up paying because a) they own a disproportionate amount of housing and b) their inheritances will be all the smaller. f) In the medium and long term of course, good economics and good politics are the same thing. It is estimated that 1% on VAT costs 100,000 jobs, so getting rid of that means another two million private sector jobs. National Insurance raises £120 billion a year and is probably not quite as damaging as VAT, but getting rid of that might mean another million private sector jobs. So that's three million people back in work and higher net wages for those who are already in work. 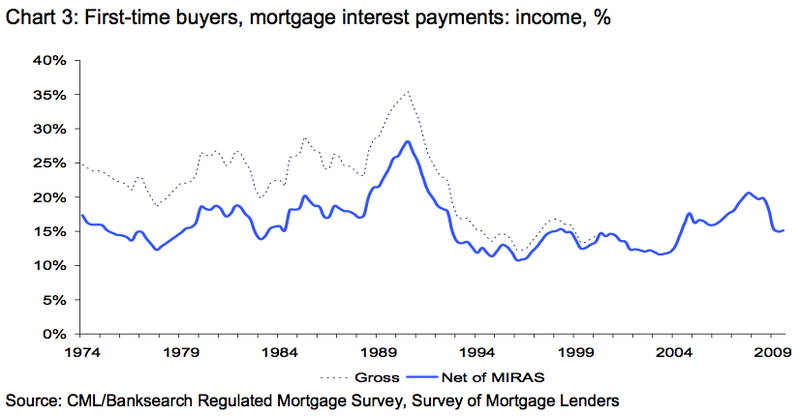 Every £1 by which house prices fall means that the next generation of first time buyers saves £2 in interest and mortgage repayments. Is it really good politics in anything but the shortest of short term to stick with a tax system which uses Poor Widows in Mansions (one or two per cent of the population!) as a human shield to justify poverty for untold millions of others? g) Why would nudging Poor Widows out of their Mansions be good economics, you might ask. Look at London, which is where ninety per cent of the £1 million-plus homes are. 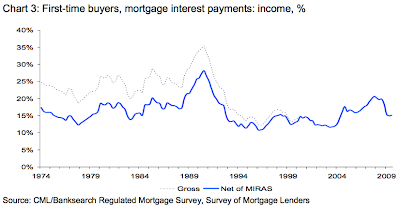 Who's queuing up to buy those homes? It's rich foreigners, who'd be delighted to take advantage of our low income tax rates and who could easily pay the tax (house prices will adjust downwards in compensation). If half a million wealthy foreigners and their families came to the UK and each spent £200,000 of their foreign-earned income here each, that would increase our GDP by 5% and wipe out the balance of payments deficit. But who lives in those houses? Poor Widows, allegedly, so all the foreigners go elsewhere (like New York or Switzerland, where they have swingeing property taxes, as it happens). But when we seek to rectify this system, to break down this unnatural and vicious circle, to interrupt this sequence of unsatisfactory reactions, what happens? We are not confronted with any great argument on behalf of the owner. Something else is put forward, and it is always put forward in these cases to shield the actual landowner or the actual capitalist from the logic of the argument or from the force of a Parliamentary movement. For a lengthy account of how often the Poor Widow is invoked as an argument against land taxes in the USA, see here. b) It is the height of cynicism that the Liberal's "People's Budget" of 1909 was vetoed by the landowners in the House of Lords (when 80% or 90% of the population were private tenants) who used The Poor Widow as a human shield for their own interests and then a few years later merrily sent off millions of men to the trenches in France, where 670,000 were killed and 1,640,000 were wounded, so while the Poor Widows were spared the ignominy of trading down, many of them will have sons or grandsons killed or injured in battle. c) Today's Poor Widows In Mansions weren't even born when Churchill made that speech. For sure, any transition is going to be a bit messy, being a trade-off between good economics and good politics, but surely it is not insurmountable? If we had devoted half the lives and materials wasted in the 1914-18 war to dealing with the transition to LVT instead, then by now this would be a normal part of financial and retirement planning and there simply wouldn't be any Poor Widows In Mansions.